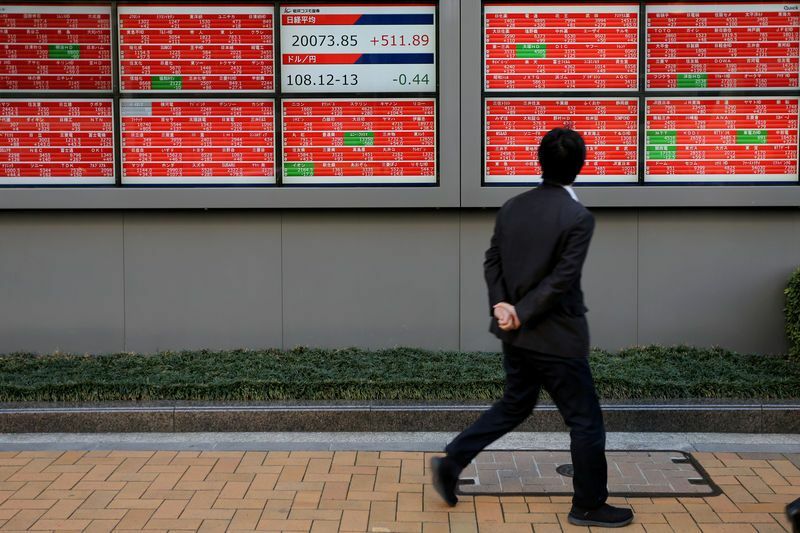 Asian shares were on back foot on Tuesday as an unexpected drop in China’s exports heightened worries about the global economy while the British pound braced for a showdown in parliament over the government’s Brexit plan. MSCI’s broadest index of Asia-Pacific shares outside Japan <.MIAPJ0000PUS> was almost flat in early trade while Japan’s Nikkei <.N225> fell 0.7 percent after a market holiday on Monday. In Monday’s session on Wall Street, the S&P 500 <.SPX> lost 0.53 percent, with the biggest drag coming from a 0.9 percent fall in technology sector <.SPLRCT>. Chipmakers, which get a sizable portion of their revenue from China, took a hit, with the Philadelphia SE Semiconductor Index <.SOX> falling 1.6 percent. Data on Monday showed China’s exports unexpectedly fell the most in two years in December, while imports also contracted sharply, pointing to further weakness in the world’s second-largest economy in 2019 and deteriorating global demand. The weak data provided a reality check to equity markets which had mounted a rally since late last year, propelled in part by hopes Washington and Beijing could reach a deal on trade to avoid further hikes in tariffs. The British pound is likely to steal the limelight later in the day as the Britain’s parliament will vote on Prime Minister Theresa May’s Brexit deal. On Monday May urged lawmakers to take a “second look” at her deal ahead of a vote that looks set to reject the agreement. Such a result could open up the possibilities of a wide range of outcomes, from a disorderly exit from the union to a reversal of Brexit. “Markets have priced in a rejection of May’s plan and there are many scenarios after that. Still I’d think the most likely outcome is to extend the (March. 29) deadline of Brexit,” said Masahiro Ichikawa, senior strategist at Sumitomo Mitsui Asset Management. Indeed, currency option markets are barely pricing in the chances of sharp moves in sterling. The pound’s one-month implied volatility stood at 12.5 percent, above the average for the past year of around 8.8 percent well off 20-percent plus levels seen in the days just before the UK referendum on June 23, 2016. The pound changed hands at $1.2866, having hit a two-month high of $1.2930 on Monday after a report, subsequently denied, that a pro-Brexit faction of lawmakers could support May’s deal. The euro traded at $1.1469 , consolidating after hitting a 12-week high of $1.1570 touched on Thursday. Oil prices backed off as the weak Chinese trade data soured the mood. U.S. crude futures stood at $50.69 per barrel, up 18 cents on Tuesday but still off Friday’s five-week high of $53.31.